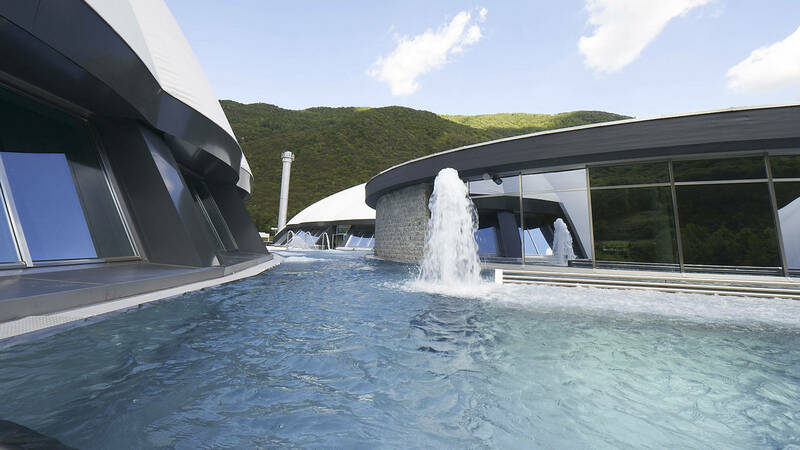 The Spa at Splash & Spa Tamaro provides a variety of attractive and health-enhancing spa experiences treating guests to many special feel-good moments. Guests are offered multisensory spa experiences with lasting positive effects on body, mind and soul. The three different Spa areas are dedicated to the themes relax – moist/warm – hot. An attractive sauna world impresses with its diversity and variety of indoor and outdoor sauna experiences, featuring typical regional themes and materials: the clay sauna – for an exceptionally healthy sauna experience, the salt sauna – making use of the widely known healing powers of salt, or the chestnut sauna for an ultimate heat experience in a traditional ambience. 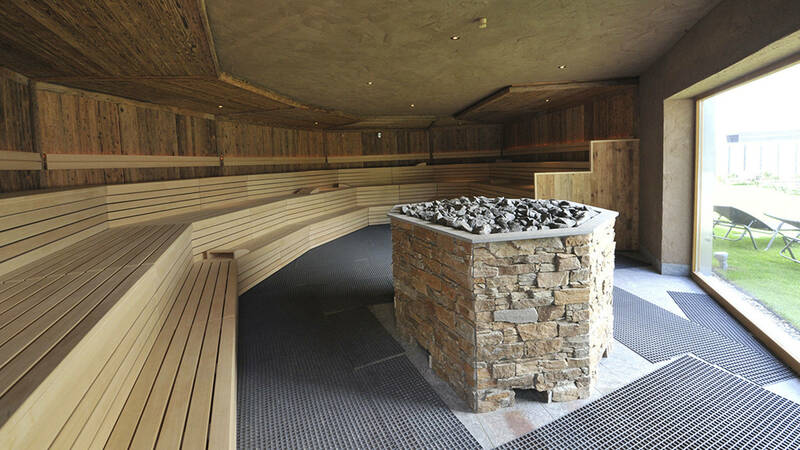 The sauna area also features an ice fountain, a foot reflexology area and a Kneipp area. The Hamam ritual area offers a selection of state-of-the-art steam baths, pools and relaxation areas providing a soothing atmosphere and elegant settings to de-stress, relax and rejuvenate. 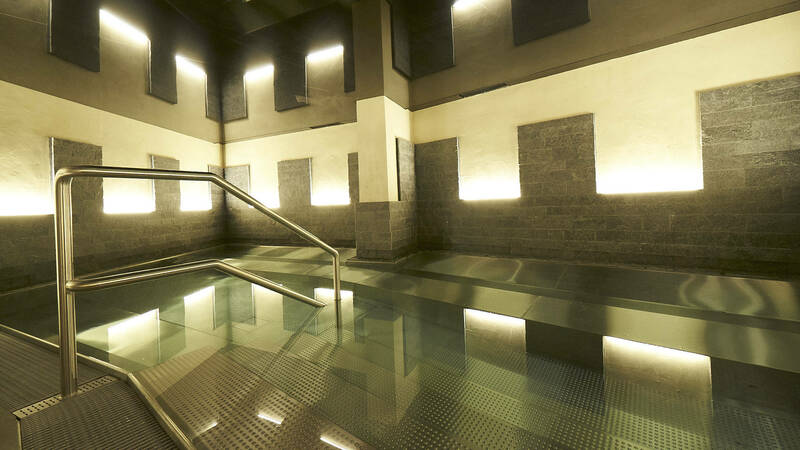 The Hamam ceremony will take guests through steam and heat treatments, unique full-body scrub massages, detoxifications and cooling pools to bring the body and soul into perfect balance. To complete this holistic mind, body and spirit experience guests are invited to enter the outdoor iodine/saltwater pool. 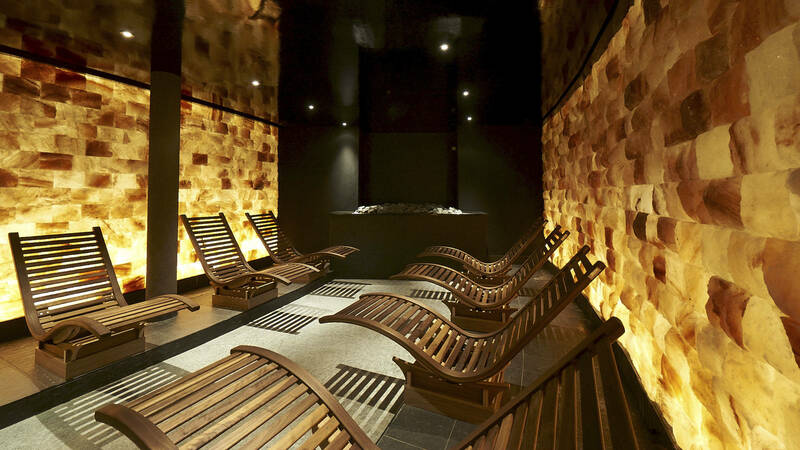 The spa also features a beauty area with six treatment rooms including a consulting lounge and a panoramic relax area. 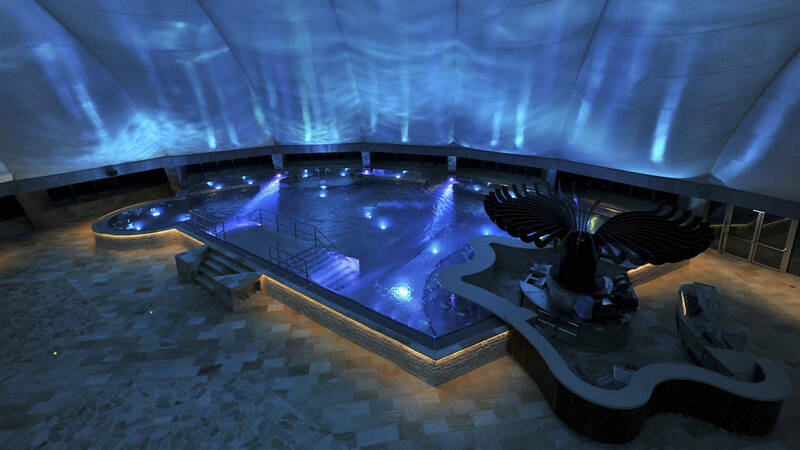 The cupola of the Spa dome at Splash & Spa Tamaro features a spectacular and spacious panoramic relax lounge. Private relax bays underneath the panoramic windows give way to a spectacular view of the surrounding Ticino mountain range.